Summary 0003845: Renaming MK 11 Mod 0 to MK 11 Mod 1. Description Please rename the MK 11 Mod 0 to MK 11 Mod 1, because SR25 (MK 11 Mod 0) in the game it's a civil variant of the MK 11 Mod 1 rifle. The SR25 has been used in many forms, from original SR25s in the 90s, later SR25s in the early GWOT (some purchased straight from Knight's) with smooth fiberglass handguards, as Mk11 Mod 0s, and Mk11 Mod 1s not to mention the current M110. Also there have been improvements to the M110 such as the M110K and M110K1 with a 16" barrel and carbine stock. It's not cut and dry that the SR25 nomenclature is civvie only, there have been actual SR25 marked rifles in similar configs as the Mk11 used. 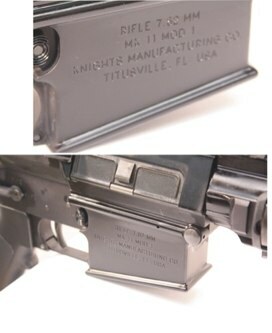 Generally, Mk11 Mod 0 has the FF handguard with the collar near the receiver, the Mk11 Mod 1 has the URX quad rail similar to the M110. Same suppressor setup for both. 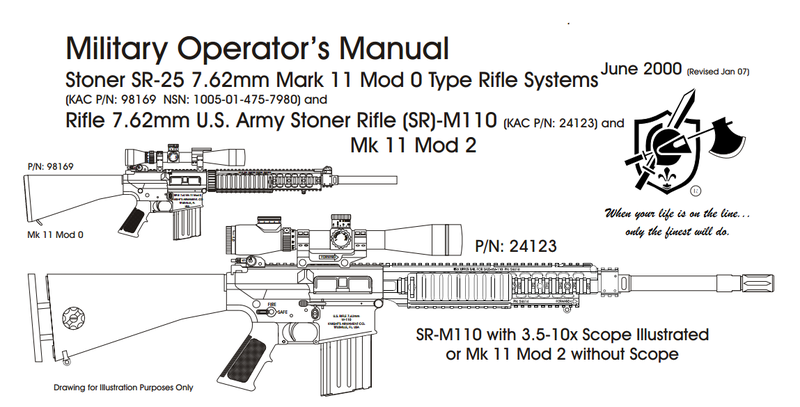 Optics varied greatly by units, and often were swapped off of other sniper rifles or even personally purchased.